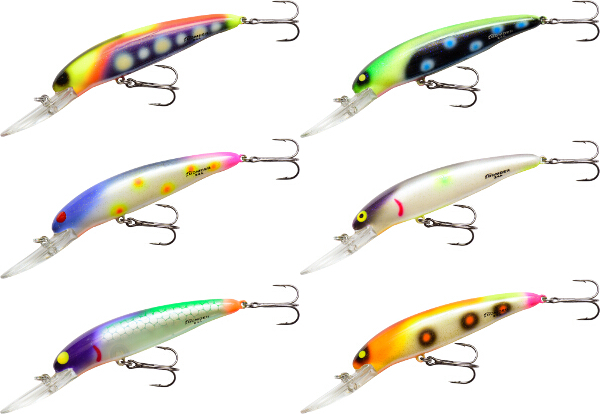 The BOOYAH Bait Co. Boss Pop topwater chugger/popper comes with everything an angler needs to generate vicious surface action – cutting-edge color patterns, super-tight engineering, top-quality components and a feathered back treble hook. The Boss Pop chugs, spits, walks the dog and skitters across the surface like a panicked baitfish. 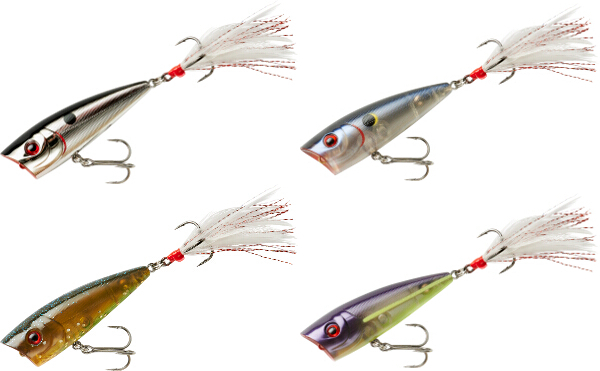 New colors Chrome Black, Moonphase Shad, Summer Gill, and X Ray add to our full selection. The BOOYAH Hard Knocker is a great lipless crankbait for aggressive fishing. Multiple rattles create a higher pitch to draw fish from long distance. The Hard Knocker is specifically weighted to help make longer casts and available in three sizes to fit the conditions. Use it to probe flats in the spring and pick off schoolers in the fall. 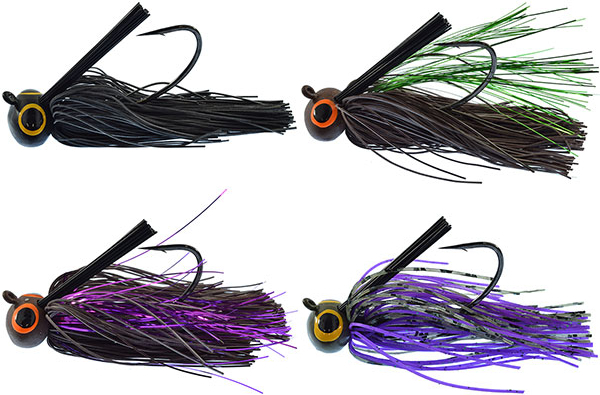 New colors Chrome Black, Crushed Bone, Ghost, Moonphase Shad, Tiger Craw, and Yellow Perch add to our full selection. For a limited time save 25% on select Abu Garcia reels and rods, while supplies last! Offer limited to quantities on hand. Bass can hear the difference with the Bandit Rack-It. The Rack-It is a square-bill crankbait that dives 4-6 feet deep and is perfect for using around rocks or wood thanks to the high-deflection rate. A molded-in and shaved bill also increases the hunting action to a new aggressive level. But the sound it makes is key. The butyrate body emits a unique sound that bass aren't used to hearing after years of other plastic cranks going past them. 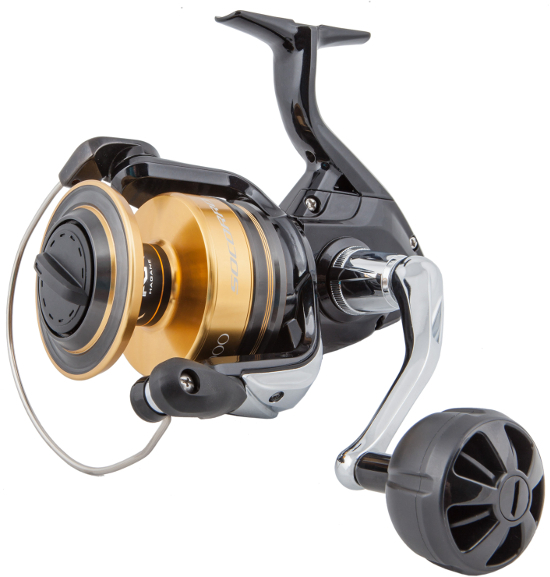 New and improved Sienna rear drag reels offer anglers Shimano performance in an affordable and compact package. Rear drag reels allow anglers to make drag adjustments on the fly, with less risk of line trouble or breakage. 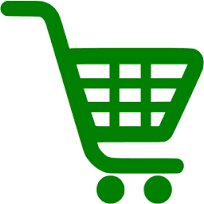 We're offering their full selection and all models are now in stock. The Sedona FI is the first in Shimano's lower end price point models to include cold forged HAGANE gears. The drag power has also been upgraded and the gear ratios increased, meaning the series has models for everything. Additionally, weight has been reduced significantly across all sizes to reduce fatigue during long days of casting or jigging. New 500 size model now available! The Sahara rear drag models feature a cold forged spool for durability and a super smooth drag system with Fightin' Drag. Fightin' Drag allows the angler to quickly get back to the original drag setting by utilizing a strike point on the Fightin’ Drag lever. When the lever is moved to the strike position, an audible click is heard and the lever snaps into position. All models now in stock! 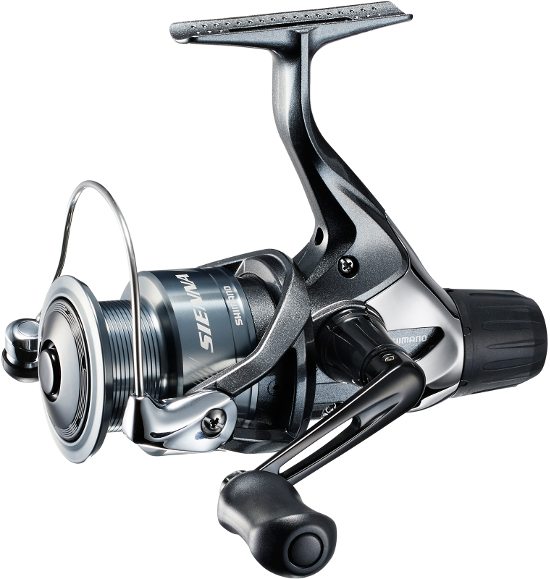 Catana offers precision, power and performance for the budget minded angler. Propulsion Line Management system offers trouble free casting for a stress free day on the water. 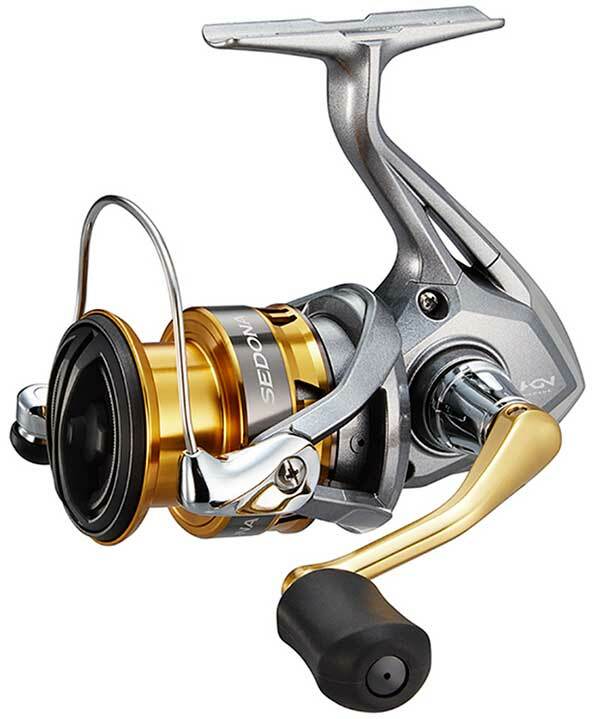 Lighter than the previous model, users will also experience less fatigue during fishing. All models now in stock! The best invention for your boat since the outboard engine! Never have to worry about what dock you are docking your boat at. DockStiX will keep your boat secure and away from the dock, preventing scratches from the dock! Rough water or calm, DockStiX will not let your boat get against the dock, protecting your investment. 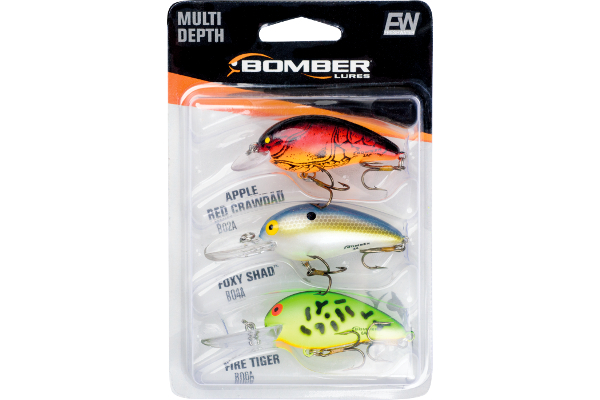 The Bomber Long A is a legendary slender minnow jerkbait made for twitching for bass and trolling/casting for big walleyes, salmon and other gamefish. The Long A mimics a minnow’s lifelike swimming action when trolled or retrieved at a constant pace, but darts erratically to the side when retrieved with a "twitch-twitch-pause" cadence. New colors Blind Ambition, Blue Diamond, Chicken Pox, Lavender Crush, Muscle Car, and Sun Spots add to our wide selection. A well-known big fish bait, the Deep Long A employs the Long A's trademark action with a deep diving molded-in lip for durability and out-of-the-package true-running performance. Especially effective when twitched for early season bass or trolled with precision for walleye and salmon. New colors Blind Ambition, Blue Diamond, Chicken Pox, Lavender Crush, Muscle Car, and Sun Spots are now available! Introducing the never before released Zoom color, Bourbon Blaze! Hand crafted by the master creators of Zoom, it's the perfect blend of colors, aged Kentucky straight bourbon with the spices of the Georgia pines. Bourbon Blaze is sure to catch fire on lakes all across the country. 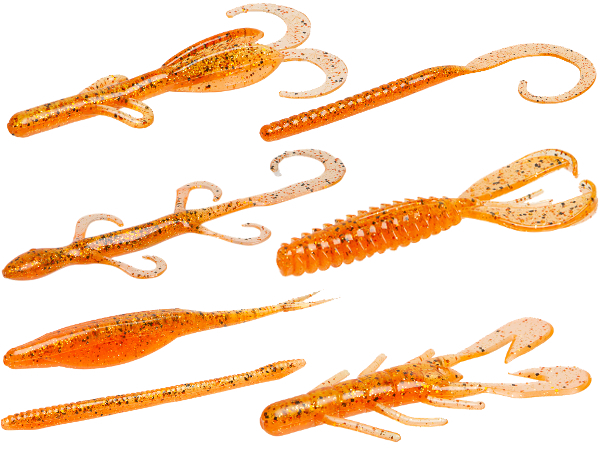 Bourbon Blaze is available in the 4" Brush Hog (Baby Brush Hog), Finesse Worm, 6" Lizard, Ol' Monster, 2.5" Salty Chunk, Super Fluke, Trick Worm, Ultra-Vibe Speed Craw, Z-Craw and Z-Craw Jr. The Bandit Walleye Shallow dives to almost 12 feet on a long cast and trolls a little deeper than that, making it perfect for walleye, zander and bass when they're holding in the medium depths. Sixteen new colors including 2052, Carrot Top, Daydream, Electric Zebra, Flush, Fruit Salad, Glare, Grapefruit, Hot Rod, Peacock, Plasma, Rave, Reflection, SBTB, Sunspot, and Vice add to our full selection! 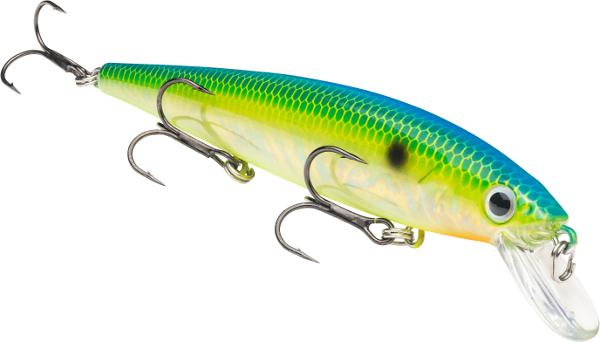 The KVD Slash Bait Jerkbait is the perfect combination of roll, wiggle and flash to attach fish. It combines a weight transfer system for increased castability, 3D eyes and premium black nickel hooks for that action that ONLY a KVD Jerkbait can give. Jerk on slack line for that maximum action, pause and be ready! 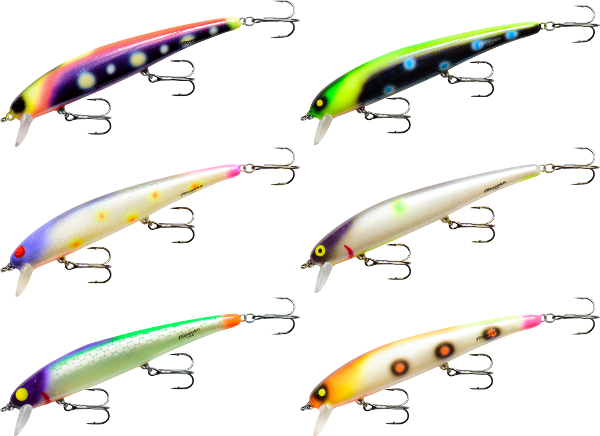 New color Pro Citrus Shad is now part of our full selection. Lethal Weapon's heavy cover swimming jig comes complete with all the best components. It features a custom heavy wire Owner hook, a hand-tied skirt, realistic 3-D eyes, a wire trailer keeper, a heavy brush guard and a true keel head which slips through anything and everything. This is the wackiest hand poured worm. With its quivering super soft hair teasers connected to the 5.5" worm body, the fish can't say no. Use your favorite wacky jig head and make this animal dance. Put it on a shaky head, throw it weightless, or drop shot it. The possibilities are endless. Super salted to make the fish hold on for dear life. Don't let its size fool you. This small profile jig is deadly when bit. This one comes with all the quality components expected from the Custom Lures line of jigs. It's got an Owner Super Needle Point hook, a custom grub keeper, large eyes, light weedguard, and as always...a hand tied skirt. We added all colors and both sizes! A pre-rigged Hollow Bellied Swimbait that doesn't get torn up right away like most others in the hollow bellied category. At 1/4 oz and 4.3" this bait is ready to throw a mile because its profile lets it defy gravity like a rocket ship. Retrieve it at any speed you like. Wake it near the surface or slow it down for deeper fish. 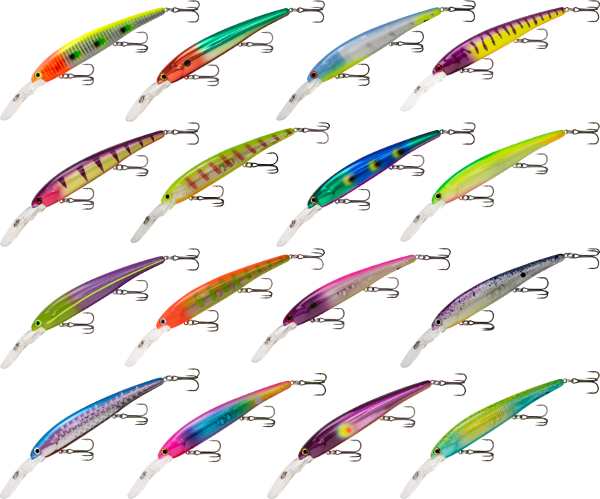 Colors Purpledescent Shad and Trout have been added to our selection. 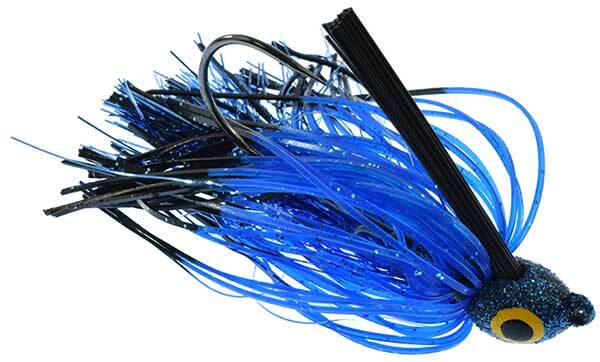 The Lethal Weapon Drag Queen Football Jig is made with a "Living Rubber" skirt. The Drag Queen is not shy about making an appearance, and it does so in a distinct manner. Like a fleeing crawdad, it mimics the clicking scraping noise of its fellow counterparts by banging its rattling, tungsten plated head along the bottom in search of bass. Colors Black, King of the Ozarks, Queen of Table Rock, and Watermelon Candy have been added to offer their full selection. 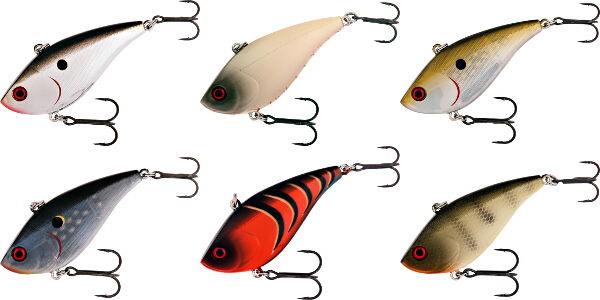 The Lethal Weapon Lethal Blade is a blade bait with a highly attractive vibrating action. 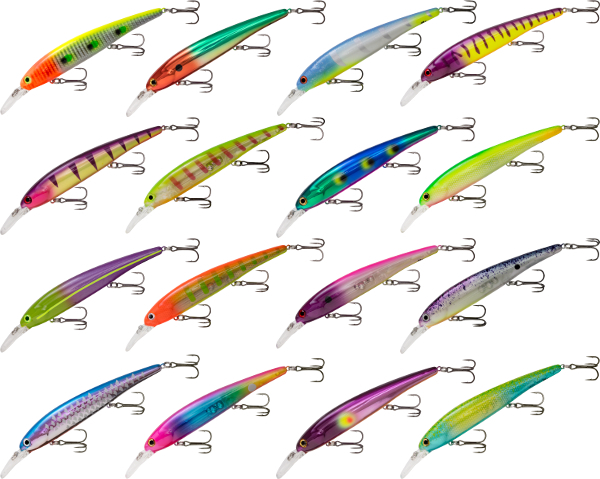 Used for casting, jigging, or slow trolling, the Lethal Blade will catch the eyes of walleye, saugeye, both large and small mouth bass, white bass, pike and panfish. 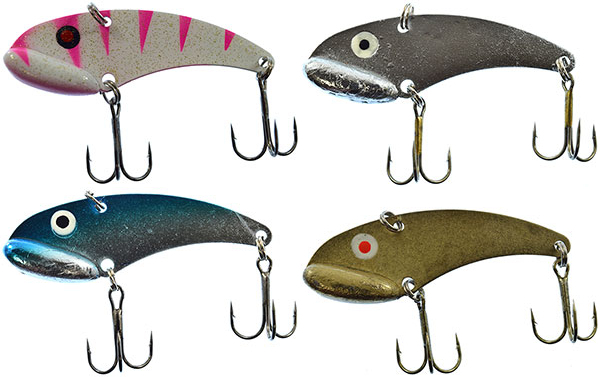 We added colors Candy Cane, Chrome, Chrome Blue, and Gold Shiner, along with their 3/8 oz and 1/2 oz sizes! The Bandit Walleye Deep dives all the way to 27 feet and trolls even deeper than that. Walleye, zander and other predator fish love this slender minnow jerkbait. Sixteen new colors including 2052, Carrot Top, Daydream, Electric Zebra, Flush, Fruit Salad, Glare, Grapefruit, Hot Rod, Peacock, Plasma, Rave, Reflection, SBTB, Sunspot, and Vice add to our full selection! 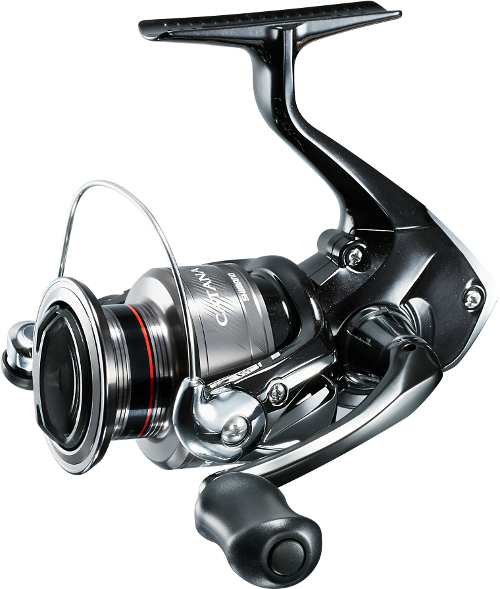 Catana offers precision, power and performance for the budget minded angler. Propulsion Line Management system offers trouble free casting for a stress free day on the water. 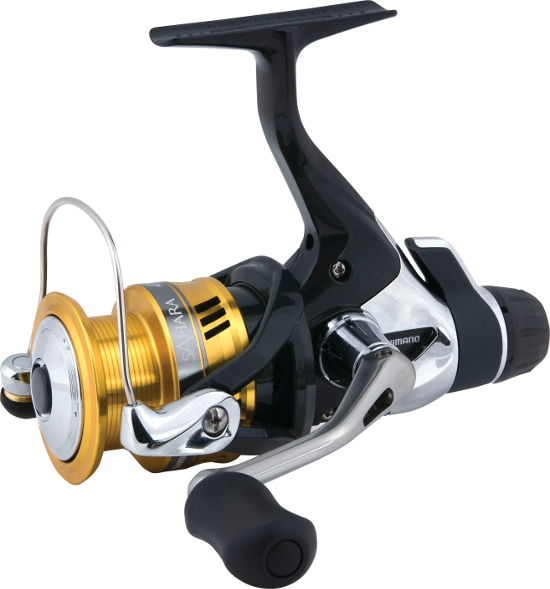 Lighter than the previous model, users will also experience less fatigue during fishing. We've added all four models!